I have been working with Tasman Keith for most of 2018. 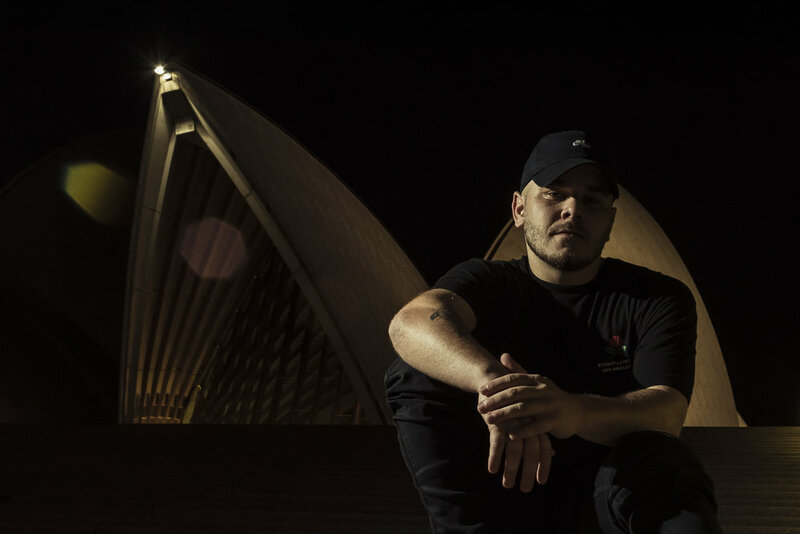 An absolutely relentless year for Tasman as he released his debut EP entitled Mission Famous. The work comprises of five incredible songs that speak of his origin story as a Gumbaynggirr Man from Bowraville, NSW. Working with him we conceptualised the artwork that is comprised of a hero-image that is surrounded by family pictures collected from Tasman’s family home. The incredible artwork by the legendary Benjamin Funnell of April 77 Creative makes reference to the entire narrative of the EP. In addition to this cover art I also photographed and retouched a selection of images that have been used across Tasman’s print and digital promotion and marketing throughout the year.